Xenon flashes, zoom lenses and larger image sensors mean that dedicated cameras still have the edge over smartphones in certain situations. On the other hand, mobile devices can score with connectivity features, responsive touch interfaces and the ability to install and run a multitude of camera and editing apps. Usability. 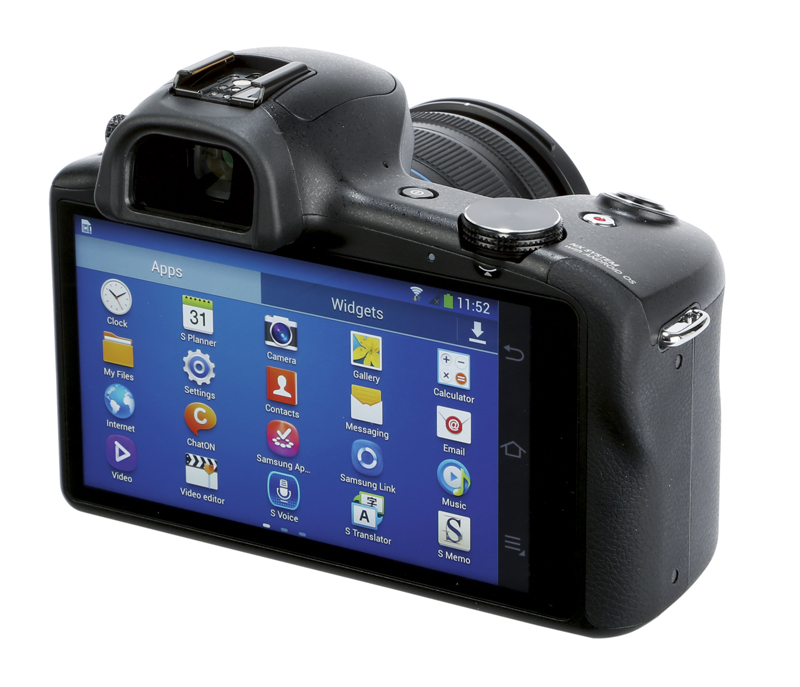 Cameras are not held in the same way as smartphones and controlling a compact camera like the Samsung Galaxy Camera or system camera like the Samsung Galaxy NX via an Android-powered user interface can be awkward. Playing Angry Birds on your camera screen is a nice party-trick, but traditional camera user interfaces allow for quicker and more precise modification of settings. Portability. The ‘always with you’ factor is a major advantage of smartphone cameras. Most people don’t want to be without their phone and current devices are thin enough to fit into a pocket or purse. However, connected cameras are larger than smartphones, so you are more likely to leave them at home when not planning to take pictures. Versatility. Most connected cameras offer 3G or 4G data connectivity, allowing for direct upload of images to cloud services or social networks. However, in spite of built-in GSM modules, most models cannot be used for placing phone calls, so you’ll still have to carry your phone. At that point, you might as well use a traditional camera with built-in Wi-Fi and the hotspot feature of your smartphone. Mobile photography image quality requirements. Mobile photography is not about making large prints but posting online on platforms such as Facebook or Instagram. Those services use low-resolution images, which means cropping can, within limits, be a viable alternative to a physical zoom. This means that the zoom lenses of connected cameras are not as relevant to the target user as manufacturers would like. Current camera/smartphone hybrids are impressive pieces of engineering, but they fail to address any specific user needs. In the long run, it won’t be enough to merge an existing smartphone with an existing digital camera model to create a hybrid. Manufacturers will have to design more integrated solutions that experiment with new form factors and technologies to help explore previously unimagined uses and take imaging to the next level – 2015 seems like a good year to start.